When the Hillary Clinton Rock Star Diva story broke yesterday, the hardreading staff knew it would be mother’s milk to the feisty local tabloid. 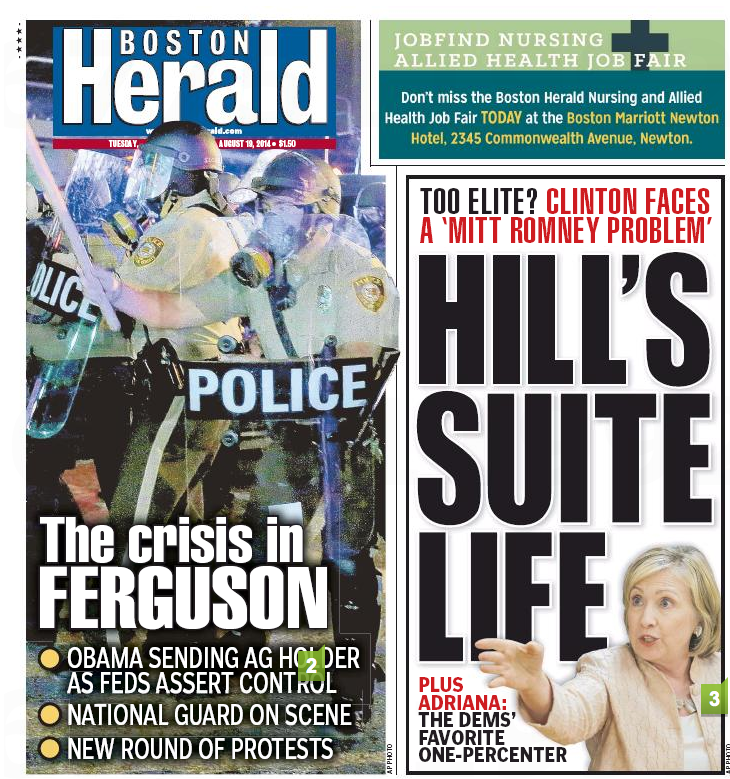 And today’s Boston Herald did not disappoint. Inside, readers were treated to two Whack-a-Hill columns – one from Kimberly Atkins, the other from the inexplicable Adriana Cohen. That goes the other way around, too. 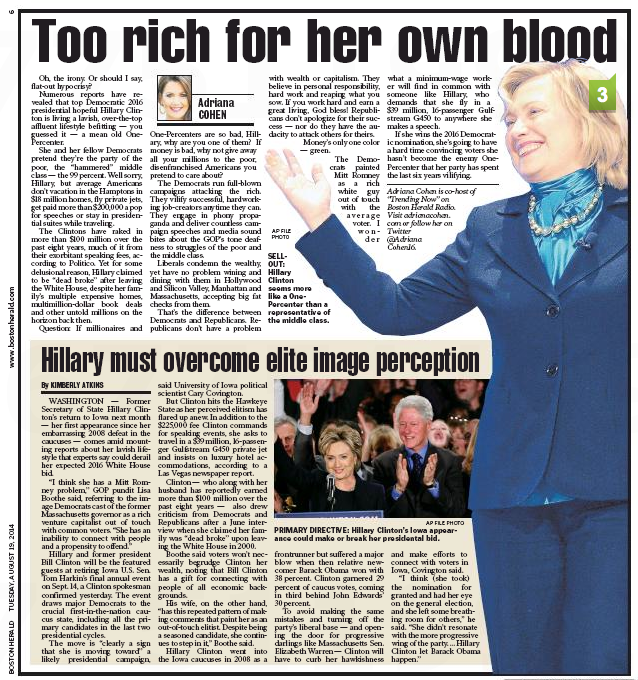 Case in point: Queen Hillary didn’t make today’s New York Times, either. But stay tuned – Maureen Dowd is up tomorrow. This entry was posted on Tuesday, August 19th, 2014 at 2:10 pm and is filed under Uncategorized. You can follow any responses to this entry through the RSS 2.0 feed. You can leave a response, or trackback from your own site.